With wide and decent business practices we engaged in Manufacturing,Supplies,trading, importing and exporting and offering PET Liquid Hand Wash Bottles. These are manufactured using quality plastic material and are widely used for the packaging of Liquid Soap and Hand Wash Sanitizer. We offer these bottles in a variety of sizes and shapes to match the distinct demands of our clients at very affordable pricing. Inaugurated in the year 2012, at Delhi (India), we, "Unique Polymer Aids", are ranked amidst the distinguished manufacturer importer, supplier and exporter of a comprehensive assortment of Plastic Bottles & Plastic Jar and Containers. 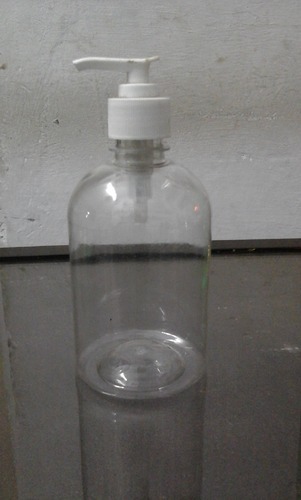 Our products range includes Cosmetic and Phrama Bottles, Plastic Caps, Plastic Jars and Containers. These products are manufactured by our manufacturing unit that are spanning all across the industry. Our manufacturing unit manufacture offered products in complete conformity with the international quality standards using the finest quality plastic and sophisticated technology. We also Deal in Various overseas projects as per the global import-export norms. Majorly we export our product worldwide. We are having a team of professional having expertise and vast experience in handling the international projects. In addition to this, these products have gained immense appreciation among the clients for their high strength, chemical resistance, light weight, accurate dimensions and durability. Our clients can avail these products from us in a wide spectrum of patterns, sizes and dimensions as per their variegated requirements.